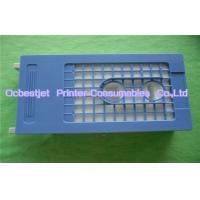 Home Companies Ocbestjet Printer Consumables Co., Ltd.
1.The New compatible maintenance for Epson Sure Color S30600 S50600 S70600 printer. 2.Installed with chips which can be reset by our chip resetter. 3.It is replacement of original maintenance tank for Epson. 4.It can be used repeatly. It will be save your cost greatly.